Hello, my name is Nancy. I have been interested in Vans and Van dwelling for years but I just recently found this forum. 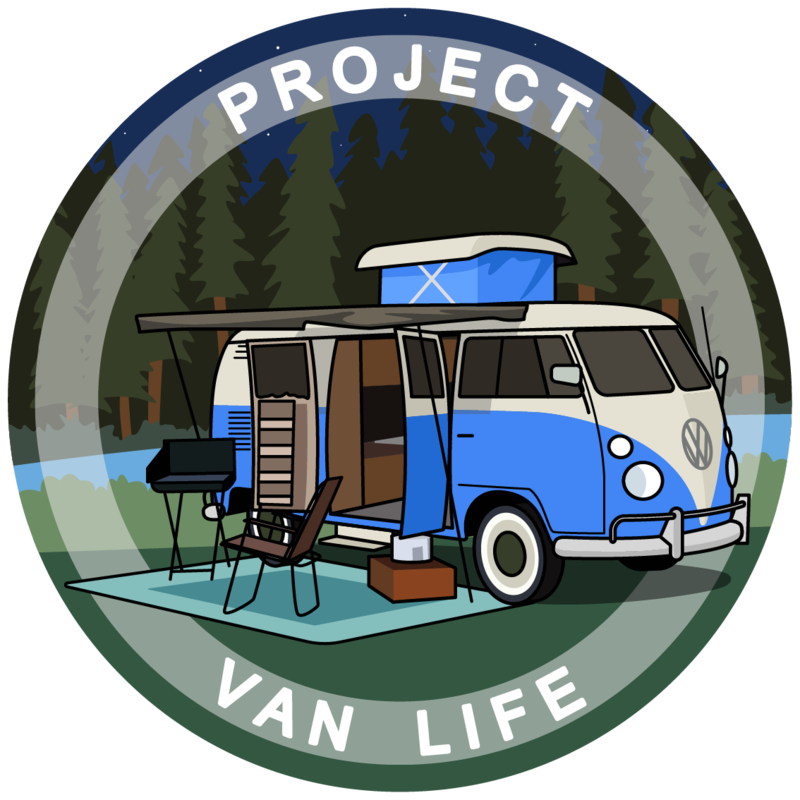 A friend found the van life project event and sent it to me and I then found the forums from there. I attended the RTR near Quartzsite in February with a friend. And it was really amazing. One friend of mine is planning to move to a van to save money. Another has just bought a van and is beginning to build it out with the intention to start with camping events and eventually go full time. I currently have an Astro van. Which only has a cot in the back that I use when I work at the racetrack, basically a tent on wheels. My current plan is to get a good vehicle to use for camping and travel. With the idea that I could go full time at some point. I need to be able to tow or carry motorcycle/s. Lot’s of good people here to answer questions and offer advice. If your Astro is in good shape and capable of towing what you want, I’d probably stick with it and just make it into a more complete camper. Quite often the devil you know is better than the devil you don’t. Even brand new vehicles often turn out to be lemons. Please keep in mind that the dream most promoters are pushing is more fiction than fact, and a very tiny percentage of those who try it make it longer than a year or two, and a huge majority of them wind up broke, broken, homeless, & jobless, and severely regret having been sucked into it. It’s not all rainbows and roses like the promoters would have you believe. They’re in it for the MONEY first and foremost. Their advice is typically centered around them making money, not what’s actually best for you. Done right, vandwelling can be a beautiful lifestyle. I’ve been living on wheels since 1973, happily and successfully, but I’ve always worked full time as well. Jobs and/or money is the biggest failure point in this lifestyle. Vandwelling is far from free, and for many it is even more expensive than their previous lifestyle. Jobs that fit a mobile lifestyle can be hard to come by. Loneliness is another frequent failure point, and so is deep depression for those trying to live in cargo vans. Deep depression, stress, and anxiety hit me very hard when I tried a cargo van, something I had never experienced in campers with lots of windows, and not having to constantly worry about hiding or what others might think of me or call the cops on me. Cargo vans carry a very bad stigma in the eyes of the public, and in the eyes of the authorities. For 30 years I worked as a traveling construction worker, a good job with decent pay. Today I make my money doing computer maintenance and repairs both online, and in person if it’s local and the weather is agreeable. Otherwise I do it remotely from the comfort of my van. I choose to live in my van rather than out of it, so I have a good kitchen, a toilet, and a shower. I have both heating and cooling to keep me comfortable regardless of extreme outside temperatures. I have a house battery that is charged mainly while driving, and a generator as a backup plan. I don’t have solar, roof vents, or 12v fridges, and I designed my van to allow me to live comfortably without any power if the need arises, just like if I was tent camping in the wilderness. It is important to be prepared for anything that may happen, so you can at the very least survive it. I learned that when I was relying on solar and spent the majority of my time without any power. Charging while driving totally solved that problem later. While I generally go shopping every week, I try to keep a months worth of emergency rations on board at all times. My theory is that if I can stay reasonably comfortable, with food and water for at least a month, that should buy me plenty of time to recover from whatever situation I’ve gotten myself into. If you start with your eyes open and prepared, with multiple plans and backup plans, your chances for success are far greater. Never gamble more than you can afford to lose. Jobs and money get harder the older we get. The best time to work the longest and hardest is while we’re young, banking everything possible. The road will always be there, and the more money and security we can have before embarking the better. #Vanlife is not enjoyable if you’re just surviving. The difference between being homeless, and being on an adventure all boils down to money. Greetings SWOhio from Burbank Ca. Though my drivers license says Cincinnati, Ohio at the moment. I left Cincy on Jan 3rd, made it to the women’s RTR, then the full RTR, and then the women only Caravan for several months. The Honda minivan I came out in died when it slipped into gear and then into the bottom of a 50’ ravine. Now I have a Ford Clubwagon that’s 19 feet long. It’s full of windows and I’ve spent a week in Jashua Tree National Park, a week camping on the beach in Malibu, and now a week in Burbank. Early next month I’ll start heading back to Ohio to put plates on my new (to me) van and spend time with family. As the weather heats up I’ll probably head for the Rockies and spend some time there. I have wheel chocks I use just to be safe if I’m parked on a slope with no curbs available to nose into. I don’t like to trust transmissions or emergency brakes to keep my van stationary. They’re cheap insurance, and I highly recommend them. Yeah, I have wheel chocks now too! I didn’t set out to kill my van that’s for certain! But yeah, it’s long since dead. I miss that van!!! GreenEyedGirl, perhaps when you come through Cincy, you might be willing to show off your van a bit? Perhaps give a talk at our Hackerspace? Van_Dweller, that’s a lot of wisdom and good advice, thank you. I know my eyes are maybe open a bit more than others to begin with, and it emphasizes that. It’s funny how that works… I’m 63 now, and while my body sometimes reminds me of that, mentally I’m still young and chipper, but with alll the knowledge that the years have taught me. Given the choice between mind or body, I’m glad that my mind is still sharp. With my mind intact, I can usually figure out solutions for what my physical abilities are lacking. I spent many years living in low top vans, and it really didn’t bother me. I had a super comfortable high back swivel reclining desk chair on wheels, and I could put my feet up on my cooler or my bed while in my chair if I was so inclined. I could also stretch out fully in my bed. I would sit on my toilet while using it, and also while showering. I cooked and did everything while seated, and everything was within easy reach. I have to bend over to pull my pants up anyway, so it really wasn’t much of a hassle. My current van happens to be a high top, but I find the amount of time I actually spend standing up inside is very minimal. I’ve helped friends build out mini vans, and they are totally doable. The build I liked the best had the kitchen at the back, but everything was pass through, so you could cook standing up outside, or sitting down from inside if the weather was bad. The toilet slid out from under the bed, and you could shower while seated on it. The front passenger seat would swivel & recline, and we added a heating, cooling, massage cushion to both the drivers and passengers seats, and another one stretched out flat on top of his mattress. His sofa would pull out into a double bed, but like myself, when alone he just usually left it in sofa mode for sleeping to keep an aisle way open. He didn’t have room for a chair on wheels, but it was easy enough to scoot from one end of the sofa to the other, or transfer to the toilet or passenger seat. He loved it and spent the last 10 years of his life traveling and basically living in it even though he still had his house. Him and I had a lot of good times together. At 93, cancer finally got the better of him, but he died a happy man. I prefer the larger vans for the larger space, same for motorhomes, but mini vans are doable. Not so much about standing room, but just more room in general, mainly for storage. I think I would feel cramped in a mini van, but several of my friends loved theirs. We even built a pop up top on one of them, which is also doable and for not that much money. We built it to be hard sided so there wouldn’t be any canvas to rot or replace. It cost us under $200 and was nearly invisible when down. Another friend has a 20x20 ez-up type tent with walls and opening windows that he sets up over his mini van while camping, giving him like double or more space, and the van and all is inside and protected from the weather, pretty neat. Lots of interesting options.